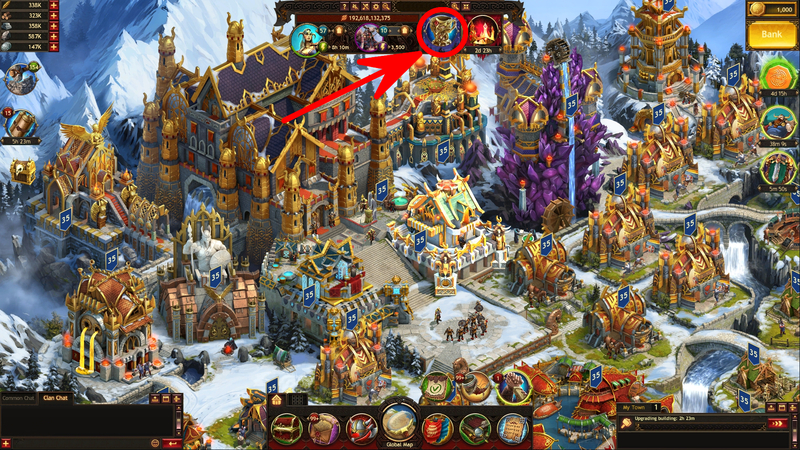 The ranking allows all Jarls to observe their gaming progress and successes in comparison with other Jarls. Within each particular category the players can see the amount of scored points for corresponding actions in a set time period, other player’ progress and their own current ranking position. The Clan ranking is defined by the amount of Influence points currently gained by all members of a Clan. Every player can view their own ranking in all categories for the selected period. If they did not participate in one of the ranking categories, the information that this action was not completed will be displayed in the corresponding field. Please note! 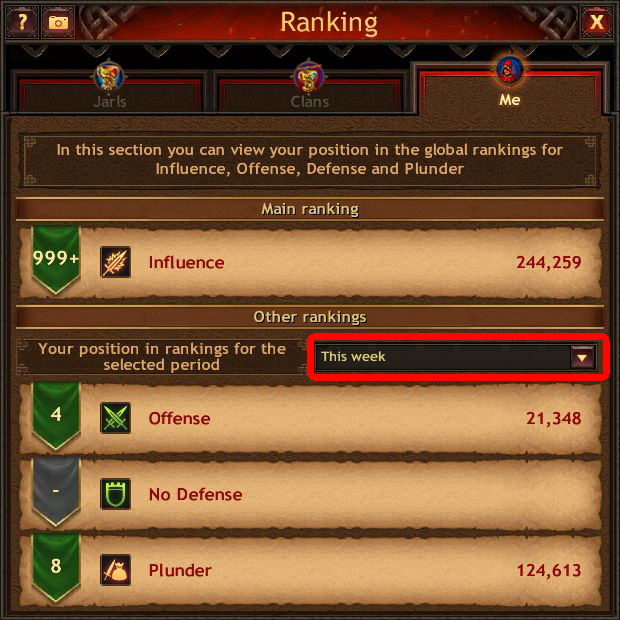 When you select Best week ranking, the best of the achieved weekly results will be displayed.